Click here for this week's scoopage. Jon Avnet's (C'71) film Righteous Kill starring Al Pacino and Robert DeNiro comes out in theaters today. Logline: "Two Veteran New York City Detectives hunt a vigilante who may be one of their own." Executive Producer for Saturn Films, Norm Golightly (C'94, Mask and Wig) debuted Bangkok Dangerous in theater's last week. Merv Griffin Executive Producer Roy Bank (C'94) will oversee Lifetime "Lisa Williams" show (working title). Per Variety, it will be "bringing the eponymous medium/clairvoyant back to the network for a week of half-hour episodes starting Oct. 27." Matt Kap's (C'97) band's (The Moving Picture Show) song "The Boy Who Lives Backwards" is featured in the season premiere of MTV's Road Rules Challenge: The Island. It was played at the end of the show when the cast decided to vote off one of their own. Check your local listings for the show's reairing. "The Boy Who Lives Backwards" basically came out of a regret. I was going to take some summer classes at NYU and met a girl the first day in the dorm through a friend. She'd had a bad day and her friend wasn't around so I decided to try and cheer her up. We had a really incredible night but I was so shy at the time and thought she had a boyfriend so I didn't ask her out. Years later I thought of that while singing a melody and began thinking about regrets we have in life - the person we didn't kiss, the bully on the playground we didn't stand up to, the clever comebacks that we wished we'd said in an argument and that's what the song is about. It also really reminds me of New York City in the fall which is my favorite time of year." Have you ever heard of an all female fantasy football league? Per Jordan, "We started out as all first timers and learned how to play together. Now we’re schooling the guys." + Follow DT by adding yourself to the "Followers" box at the top left part of the page! + New to DT? 14 easy suggestions to get started! 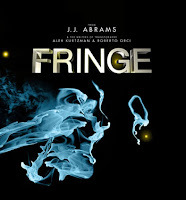 Did you see JJ Abrams' new show Fringe last night? If you did, you may have missed a quick shout out to Bad Robot (production company behind Fringe) exec Dave Baronoff (C'99, L'02, Mask and Wig, AEPi ). Watch the short clip above to check it out (minute 7:35)! "… as pilots go, this one is sensational, an artful, suspenseful mix of horror, science fiction, layered conspiracies and extended car chases. "Fringe" sets out to stretch the boundaries of conventional network series. …"
"… What really makes "Fringe" so promising is that it is potentially reminiscent, in a small way, of the battle-of-the-sexes charm that once made "Moonlighting" the best hour of TV of its time. " After I published this post, Dr. Mark Milstein (C'97, Mask and Wig) notified me that he is quoted on the Popular Mechanics website regarding the scientific/medical accuracy of Fringe's Pilot episode. Click here to see Mark's response to "Can LSD and probe-laden tanks connect your brain to the comatose?" 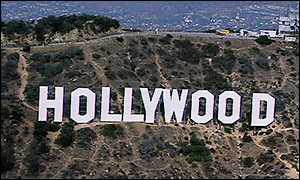 Check out this position posted by Michael Brawer (C'04), one of our alumni out here in Los Angeles. Which Penn Alum said THIS in this week's People Magazine? Which Penn alumna was recently quoted in People magazine talking about "the worst fashion crime a person can commit"? Check out our 1000+ Penn videos!